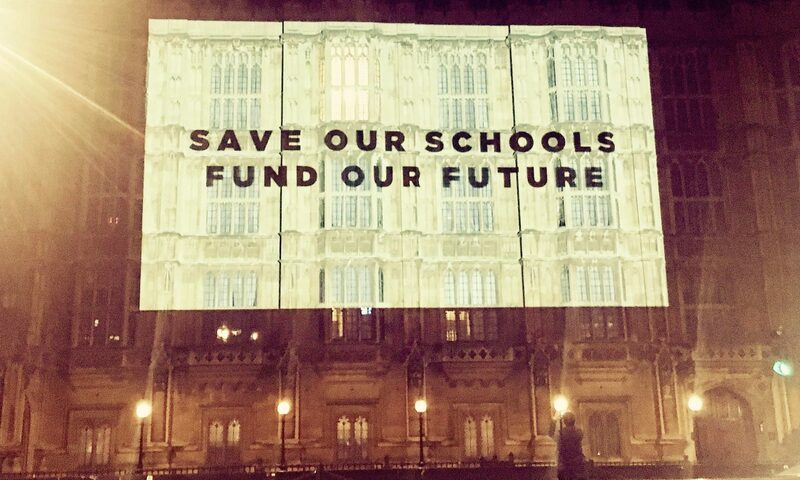 The government continues to insist that there is more money than ever in the education budget, the Catalogue of the Cuts exposes the truth behind the rhetoric. It describes the impact of the funding crisis on Brighton and Hove schools: staff cuts; building work cancelled; arts, music, sport and mental health provision slashed. Earlier this school year, Save Our Schools surveyed Head teachers about the money-saving decisions they’ve had to make as a result of the cuts to their budgets in 2017-2018. 50 out of 70 head teachers in Brighton and Hove completed this anonymous survey. The Catalogue of the Cuts paints a picture of crumbling buildings, stressed staff and pupils, and insufficient provision for our children’s learning and wellbeing. See the full survey data here and the info graphic we created below. Help us share the Catalogue of the Cuts widely and share your stories of the impact of these cuts. Help us share the Catalogue of the Cuts widely and share your stories of the impact of these cuts.